I tend to watch and listen, but I reckon I should introduce myself. My name is rick woodward , I live in Oxford, Indiana. 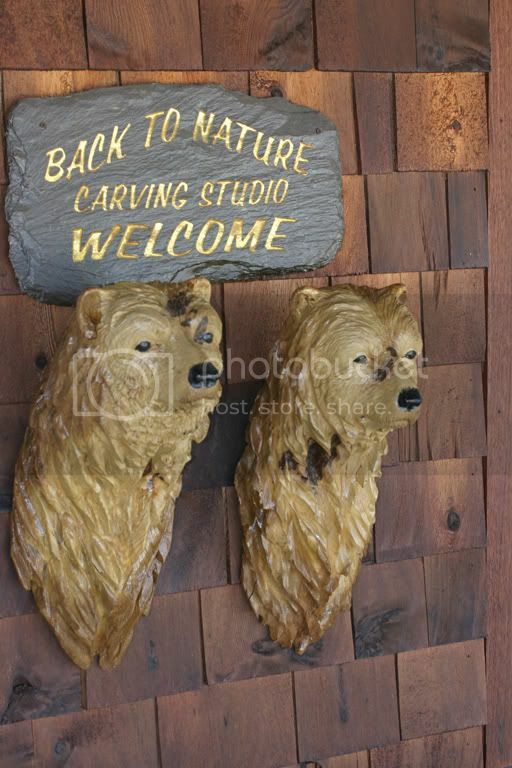 Been woodcarving most of my life. Started drawing when i was 4 kept at it til i was in my twenties then just kinda didn't after that.Been woodcarving full time the last 5 or 6 years. About 10 or 15 years ago i investigated engraving. But got discouraged. A while back I found Steve Lindsay on the internet. Now I'm back and tooling up. 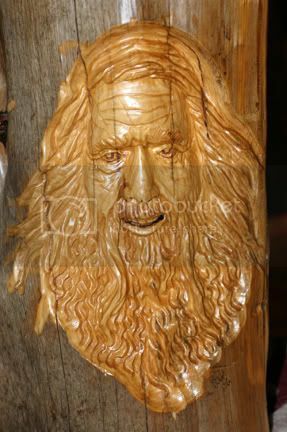 Heres a few pics of carvings i'm kinda happy with , some older, some newer. Thanks for looking. I also enjoy wood carving, and have been considering a try at it with my classic. By the looks of your work it seems the Airgraver fits the bill. I do all my work with knives, and gauges. What type of tooling do you use, and do you make the tools, or buy them. Your work is Very Impressive, and inspiring. I hope to see more in the future. Thanks for posting these fine pictures. You do beautiful work Rick. The Indian looks like he could speak any minute. There are sets of woodcarving 'gravers' you can get to use with the air powered gravers. Although since it's really just a matter of making it fit in the handpiece I dare say you can make your own. I'm looking forward to seeing your engraving and how your woodcarving background affects your style. I should be interesting! I use dremels and carbide ,diamond and ruby bits, among many other tools. I do have gouges but seldom use them. I would upload a few more pics, but it seems I cant. 200 meg is the limit per thread ? Would i need to start a new thread to post more pics? The forum for attachments is limited. Here are two threads about how to post pictures not using attachments. Here is a few more pics. I do rustic furniture, dimensional signs and home decor things. If anyone wants to see some more let me know. This is one 1/2 log leg of a mtn man bench. This is a sassafras chainsaw carved pair of "twins". 2 moose busts, dont recal the size. Probably around 12 " tall. That's wonderful work! 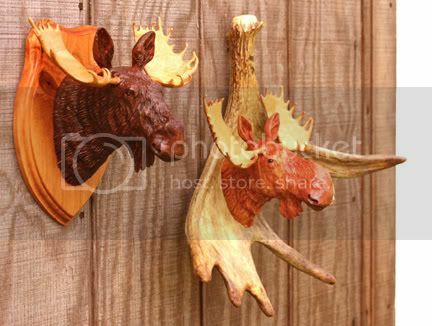 How much would one of those moose busts be on a piece of antler? Unfortunately that is the only Moose antler i had left. It was a real small one. Moose antler around here in indiana is difficult to obtain. So is elk. I sell the moose with the plaque for $550.00 But don't do many of them, too much time involved. Lots of fur detail. The antlers are carved out of hard maple then inserted. I can do one with the plaque if you want. Thanks. Welcome Rick, You do nice work, with the art back ground you will do well in engraving. This is a good place to get answere and help.